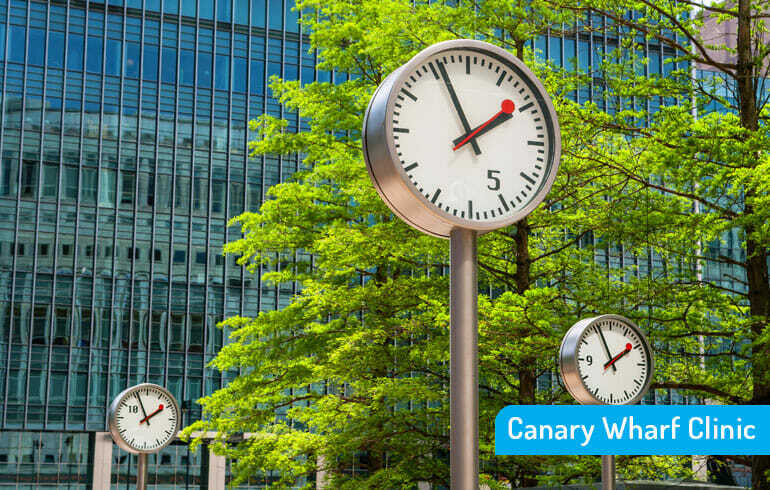 Conveniently located in the Citigroup Centre, you’ll find our Canary Wharf clinic between Upper Bank Street and South Colonnade, near Jubilee Park opposite Montgomery Square and Canada Square. Our nearest stations are Canary Wharf and Heron Quays with links to the Jubilee Lines and DLR. We offer Physiotherapy and Massage at our Canary Wharf Clinic. If you’re looking for Pilates, Private Training or Osteopathy, please see our London City Clinic.